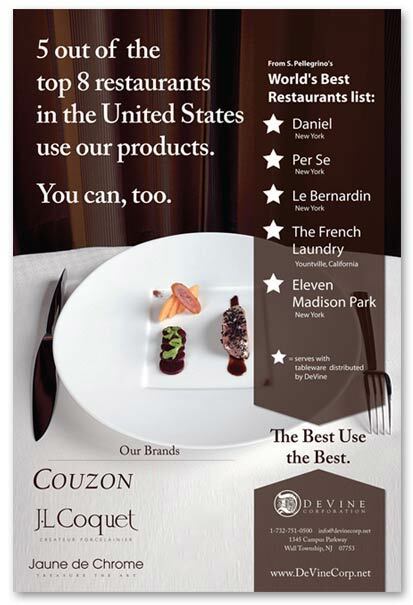 Founded in 1990, DeVine Corporation represents the fine French tabletop brands Raynaud, J.L. Coquet, and Jaune de Chrome in fine porcelain dinnerware exclusively in the U.S. We also represent Ercuis and Couzon in stainless and silver flatware and hollowware. All products are warehoused and shipped from our state-of-the art facility in New Jersey, known for impeccable customer service. We cater to the middle to upper tier market of luxury hotels and restaurants, as well as supplying the private aircraft, yachting and designer industries extensively. We can be looked to for private label solutions as well as customized products to meet specific client needs as well as basic high quality whiteware and stainless flatware for general needs in a broad range of pricing. 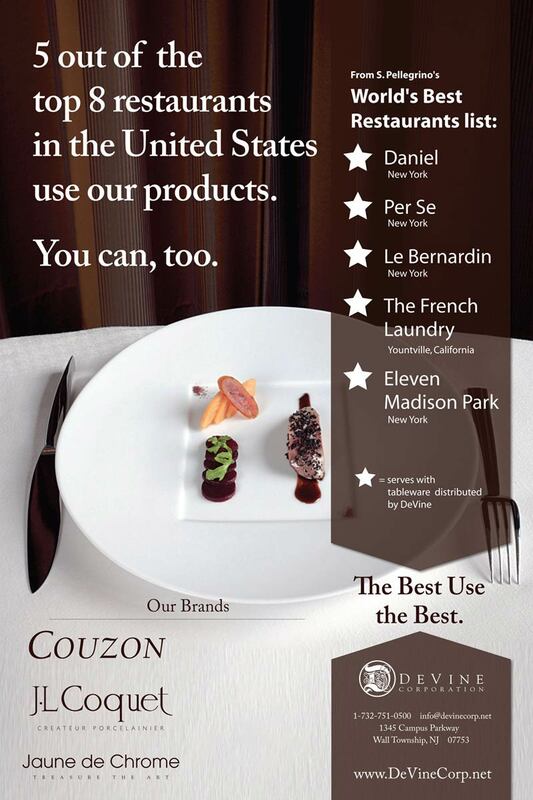 On the retail side of our business, we are perhaps the largest fine tableware supplier to Neiman Marcus, Takishimiya, and Bergdorf Goodman as well as 300 other top tier premium retailers in the U.S. and Caribbean and have established a sterling reputation for attentive customer service that we carry through to our hospitality business.